The Carrozzeria Barbi Spa was established in 1905 at Concordia (Modena) by Galileo Barbi; the first products were carriages pulled by horses. In 1911 the factory received the first prize at the International Exhibition in Paris; this was an important sing of the excellent quality and comfort of the coaches. At the beginning of motorization Galileo Barbi understood that he had to stop his old production in order to build coachwork for motorcars. 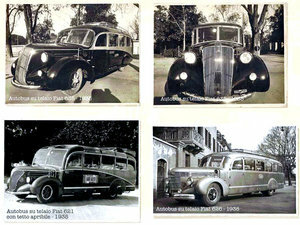 The factory was enlarged and new equipment was bought; the first coachwork for motorcars were made on Fiat’s, Alfa Romeo’s, Ansaldo’s, OM’s, Lancia’s chassis, with a very good result. Among his customers must be mentioned the unforgettable Tazio Nuvolari. In 1931, in order to meet the competition of many and famous special car builders, it was necessary to find highly skilled workers that couldn’t be found at Mirandola and so the building of tourism cars stopped. 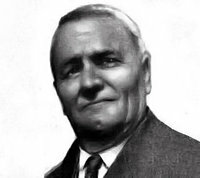 He began a new production of industrial vehicles, vans, cabs for trucks, and ambulances; later he started the more complicated production of coaches, at first with a wooden structure, and later with a tubular steel structure. In 1932 the factory of Mirandola was enlarged, the number of workers was increased up to 70 men and new engineers were appointed to prepare skilled and competent workers. When the Second World War broke out, the Carrozzeria Barbi had to break off its production to make only ambulances, vans and military buses on behalf of the Navy Department till September 1943. At the end of the war, with the factory almost destroyed and without work, the Carrozzeria Barbi began to repair the damaged departments and tried to start the production again. Successfully the activity recommenced, and new technical of manufacturing were introduced. With its constant presence at every show (from Rosa D’Oro of Sanremo to many National and International Shows) and more success, the Carrozzeria Barbi made itself know on the Italian market for its diversity and variety of different models and skilled manufacturing techniques. When in 1962 Galileo Barbi died, his son Sirner Barbi continued his father’s works under the same integrity, perseverance, well made product and honesty. In the 1970s some investments, such as new factory, and the recovery of the national market, took an increase of production and a constant improvement of quality that has always been the most important strength of Carrozzeria Barbi. The factory made some important improvement in coaches: they were improved by a sliding roof; higher deck with double seats at the back, structural columns inclined which was later imitated by all Italian coach builders. There were substantial changes In the following years: remote-controlled doors, sound proofing and thermal insulation, air conditioned, reclining seats, heating, radio and television sets. Today there are many different manufacturers based on these new mechanical technologies are produced in the current market: Fiat, Mercedes, Volvo, Renault, Man, Daf. In the middle of the eighties Barbi began to construct on Volvo chassis and the relation with this Swedish firm lasts till today. In 1994 the firm Barbi suffered the death of Mr. Sirner Barbi and since then the Carrozzeria is managed by his two sons, the brothers Carlo and Alberto Barbi. 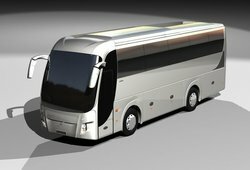 In the 1990s were realized the models Echo and Italia 99 that helped to consolidate the prestige of this factory in the difficult market of coaches. In 1997 the factory was moved to a new and more efficient plant near Mirandola, a little way out from the historical location. In the beginning of 2000 a new coach called Genesis was created. The success of this new product, in the Italian and European market, will show how a partially handcraft factory can still be very successful and competitive. The year 2007 brings out great changes : together with the production of coaches are made the first prototype of Vans to carry racehorses and the first prototype of cages for ropeways.